A recent list of the 100 most powerful Arabs under 40, published in Arabian Business magazine, included quite a few well-known names from Saudi Arabia. That’s not really surprising, as the desert Kingdom has the Middle East’s largest economy, and consequently is hugely influential in the Arab world. What emerges from a closer analysis of this list, though, is that many of these “powerful” younger Saudis represent a diverse group of companies and organisations, some of which have been associated recently with areas of growing tension in Saudi Arabia’s micro-managed and, some say, pressure-cooker society. No. 7 on this power list, for example, is Fahd Al-Rasheed, widely seen in Saudi Arabia as a symbol of the success of the country’s hugely important construction industry. He’s in charge of the world’s largest development project of the moment, the US$100bn King Abdullah Economic City, just north of Jeddah. And the next Saudi on the list, 11 places below her, is Fahad Albutairi, who is said to be the country’s first professional stand-up comedian. What this list appears to suggest is something that many observers of Saudi Arabia privately, at least, believe. And that is that the KSA (Kingdom of Saudi Arabia) could be heading for even more radical changes than have already been mapped out in recent months by a government that’s determined to diversify the country’s economy, as it seeks to provide more jobs for its young people, while at the same time making it less dependent on the massive oil reserves that lie beneath its sprawling desert sands. Why any of this matters to the outside world isn’t hard to understand: Saudi Arabia possesses 16% of the world’s known oil reserves and is the world’s No. 1 oil exporter; its GDP of US$1.68trn is the world’s fifteenth largest; its approximately 29 million people enjoy a GDP per capita that’s the world’s 22nd highest. It is a major buyer of airplanes and military equipment. Saudi Arabia’s wealthiest citizens are world class consumers of luxury goods and automobiles, buyers of luxury homes, and users of such luxury services as private hospitals and fee-paying schools. However, hit by the severe and sustained declined in world oil prices that began around the middle of 2014, the country posted a budget deficit last year estimated at around 13% of GDP, and it faces another deficit in 2016 of around US$87bn – which is why the normally change-wary Saudi government is suddenly wooing outside investors as never before, with promises of a new economic dawn. The principle architect of this new economic dawn – or “Vision 2030”, as it is formally known – is deputy crown prince Mohammed bin Salman, who is just 30, and who took over the Kingdom’s No. 3 job in April 2015. Vision 2030, formally unveiled in April of this year, is a wide-ranging plan which at its heart aims to turn a country almost totally reliant on oil into a modern, diversified economy, trading globally in a number of key sectors, over the course of the next 14 years. Total capital projects planned as part of the scheme already amount to US$440bn, which is expected to come largely from the sale to the public of up to 5% of the world’s biggest oil company, Saudi Aramco, currently owned by the Saudi Arabian state. That, and the sale of other state-owned companies, are expected to result in the creation of the world’s largest sovereign wealth fund, worth about US$3trn, as well as some 450,000 new private sector jobs, which the country badly needs for its young people. Currently expatriates, who account for only about a third of the population, fill an estimated 85% of the private sector jobs. While Saudi Arabia may be able to draw on the wealth embedded in shares of its Saudi Aramco to pay for at least some of its planned economic overhaul, it needs input from outside world in a very major way: to help it develop the industry sectors it’s keen to build up – one of which is financial services. Others include transport (US$45bn have been allocated under the Saudi Vision 2030 roadmap to the country’s rail and metro networks), water and waste treatment (US$66bn), health facilities and new hospitals (US$100bn), as well as education, renewable energy, downstream oil and gas developments, tourism (including religious tourism), and the wholesale and retail industries. These figures, by the way, come from the Saudi British Joint Business Council, which says it sees plenty of opportunities for British firms. The aim is to see the targets reached with an ever-increasing number of Saudi nationals filling the jobs. A second economic plan to Vision 2030, known as the National Transformation Program 2020, was published in June, and sets out how two dozen Saudi government departments will meet the targets for new initiatives and deliver the strategy. There have been previous efforts on the part of Saudi Arabia to encourage foreign direct investment and overseas expertise in its institutions, but most observers say that in principle, at least, many of the measures currently being proposed are dramatic, by the standards of this most-closed of countries. The Saudi Arabian General Investment Authority, for example, has vowed to cut the time it takes to issue new business permits to just one day, from 19 days previously, as it seeks to double FDI by 2021. Also being promised is better access to investment and capital markets, and the creation of a derivatives market. A relaxing of existing foreign ownership rules in many sectors is also taking place. In June, the Saudi Press Agency reported that the government had approved a regulatory change to allow foreign companies to hold a 100% stake in wholesale and retail trade businesses, up from 75% previously. Perhaps one of the most revealing signs that change is indeed coming to Saudi Arabia was the announcement, in July, that Condé Nast is to begin publishing a Saudi edition of Vogue magazine, edited by a member of the Saudi royal family, Deena Al-Juhani Abdulaziz. Whether young bin Salman will be able to pull off the change that he’s seeking to, without causing dangerous instability in a Kingdom that is at the centre of some major conflicts involving such groups as ISIS, is currently a matter of some urgent speculation in boardrooms as well as government offices around the world, according to media reports. If deputy crown prince Mohammed bin Salman is successful in transforming the Saudi Arabian economy, he will also have had to push through significant social changes as well. Introducing such reforms as increased participation by women in the workforce, to 30% from its current level of around 22%, will undoubtedly bring him into conflict with hard-line religious leaders, and perhaps even some members of his extended family. 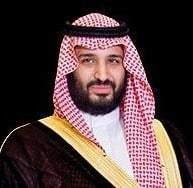 However, so far, that same family has given him unprecedented powers to improve governance, and to tackle the Kingdom’s major problems, including cutting government salaries and waste – tasks that, reports in the local media say, the young royal with a locally-obtained law degree has tackled with gusto. In addition to boldly taking on the reform of Saudi Arabia’s economy, and accepting responsibility for such other roles as oversight of the world’s biggest oil company – the deputy crown prince happens to be the youngest defence minister in the world, and in this role, has led the country into a controversial civil war in Yemen against Houthi rebels. There are concerns that the modernisation drive could end up destabilising the country, with unforeseeable consequences. Others point out that Saudi Arabia managed to come through massive change in the oil-boom decades following the discovery of oil in 1938 without coming apart. And with oil at US$40 a barrel, down from its peak of US$110 in 2013, and a large and ever-increasing number of Saudi nationals of working age, the country has been brought to the point of an unavoidable need for transition, a recent McKinsey Global Institute report pointed out. “Even if the Kingdom introduces reactive policy changes, such as a budget freeze or immigration curbs, in the face of these challenging conditions, unemployment will rise rapidly, household income will fall, and the fiscal position of the national government will deteriorate sharply,” the McKinsey consultants said. “However, a productivity-led transformation of the economy could enable Saudi Arabia to again double its GDP and create as many as six million new Saudi jobs by 2030. We estimate this would require about US$4trn in investment. Still, a recent NBC News report revealed significant concerns on the part of the US government and its security officials about Saudi’s plans for reform. One unidentified official was quoted as saying that if the prince is unsuccessful, now and later as king, there could be chaos in the Kingdom. In the meantime, luxury goods marketeers, hit by hard times in such other overseas markets as Asia and South America, are looking forward to the business they hope to generate with the arrival of Vogue in Saudi homes, beginning online in October and in print sometime in 2017. Just as, one presumes, the women of Saudi Arabia might also be looking forward to being able to read their own edition of the magazine, and to being wooed by its advertisers, including brand-name retailers attracted by the possibility of being able to take a 100% stake in their shops in Saudi Arabia’s existing, and soon-to-be-built, shopping malls. One of the ways deputy crown prince Mohammed bin Salman and his advisers hoping to diversify the Saudi economy is to build up its financial services industry, a key element of which plan involves re-starting a massive development project that has become an oft-cited example of how progress is not always a straightforward matter in KSA. 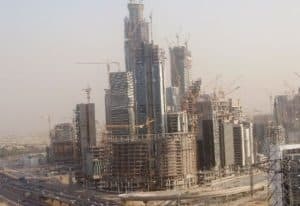 The much ballyhooed King Abdullah Financial District, on the outskirts of Riyadh, was launched amid much fanfare more than ten years ago, in an attempt to emulate the success of the Dubai International Finance Centre as a hub for local and international banks and financial services companies. Yet today, a year after it was due to have been completed, the US$10bn project has a few of shiny new skyscrapers, but no occupants; and much of the area is still a building site. The deputy crown prince is nevertheless said to be determined to revitalise the 1.6m sq m district, and transform it into “a special zone that has competitive regulations and procedures, with visa exemptions, and directly connected to the King Khaled International Airport”. In an English translation of the Saudi Vision 2030 plan, he describes the launch of the previous, single phased plans for KAFD as having been “without consideration of its economic feasibility”. 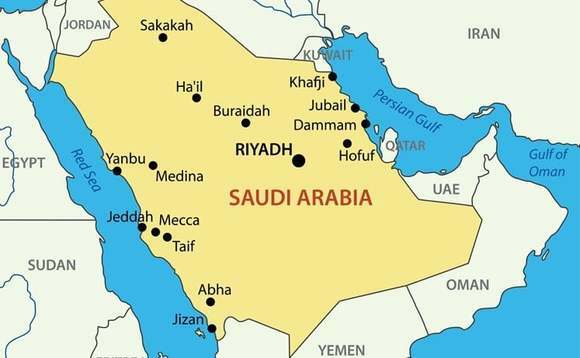 The aim now is to attract international businesses, although one of the first tenants is earmarked to be Saudi’s newly-created sovereign wealth fund. The emphasis has meantime switched to include more residential buildings than originally planned, as experience has shown that too much office space was being provided for too few tenants. To read how expatriates in Saudi Arabia are, for many in the Gulf’s financial services industry, ‘forbidden fruit’, click here.